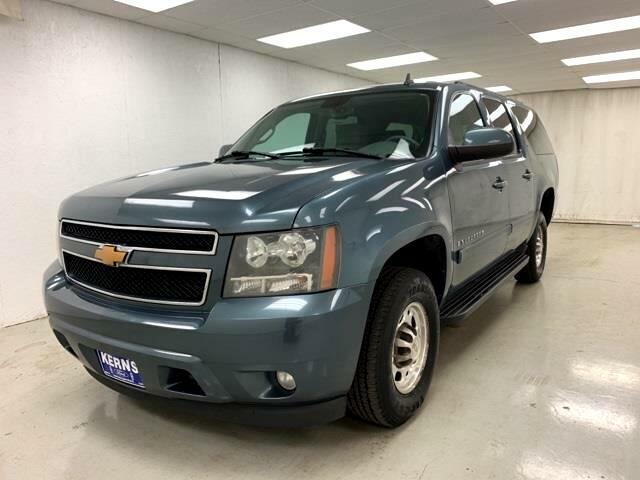 2008 CHEVROLET SUBURBAN 2500..LT PACKAGE..LOADED..LOCAL TRADE..TRAILER TOW..FULL POWER..4D Sport Utility, 4WD, 145 Amps Alternator, Color-Keyed Door Handles, Floor Console w/Storage Area, Front Halogen Fog Lamps, OnStar 1-Year Directions & Connections Plan, Power-Adjust/Manual-Fold Outside Rear-View Mirrors, Preferred Equipment Group 1LT, Rear Audio System Controls. At Kerns Ford Lincoln & Truck Center, whether you've got great credit or bruised credit, we have the car / truck / SUV / van for you. We believe in Live Market Pricing to ensure our prices are very competitive and minimize the back and forth negotiations that most shoppers aren't big fans of. Give us an opportunity to earn your business -- you'll be glad you did!